The time has come to revolutionize denture fabrication. 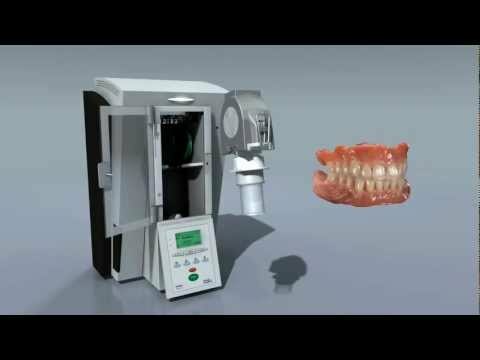 The fully automatic IvoBase® denture base system is here. This precision polymerization system is easy to use; the quality of the results is exceptional. The system is based on a highly effective combination: The material is matched to the polymerization unit and vice versa. The system is modelled on established high-tech products in terms of its ease of handling and precision. Its processes are guided, controlled and fully automated. The material complies with the latest research results – for the well-being of all the parties involved: patients, dentists and dental technicians. The future is here with the IvoBase system. The consistent flow of material compensates for volume shrinkage during the polymerization process. The result: precision fit, excellent finish, glossy basal surface. Very comfortable to wear due to excellent fit, dimensional stability and surface finish. Confident feeling due to the low residual monomer content. Economical since the finished work corresponds to the wax-up. Optimum solution for a variety of patients. The quality advantages of a heat-curing polymer have been combined with the processing benefits of a cold-curing polymer to produce a new PMMA system. In terms of its chemistry, IvoBase Material is classified as a cold-curing polymer. However, the quality of the material is equivalent to and even exceeds that of heat-curing polymers. IvoBase acrylic is available in IvoBase Hybrid & IvoBase High Impact. IvoBase Hybrid is characterized by its short processing times. IvoBase Injector. The product is suitable for fabricating all kinds of removable dentures. High fracture toughness is the outstanding characteristic of IvoBase High Impact. The material polymerizes in 50 minutes. It is suitable for the fabrication of structures that are exposed to heavy loading. The predosed capsules always contain the correct amount of material. Both containers are opened, the monomer is added to the polymer and then the two components are mixed. During the process, the skin never comes in direct contact with the monomer, for health’s sake. Seven colours are available: Pink, Pink-V and Preference, Pink-V Implant and Preference Implant (both featuring high masking ability) and two special colours, 34-V and Clear.